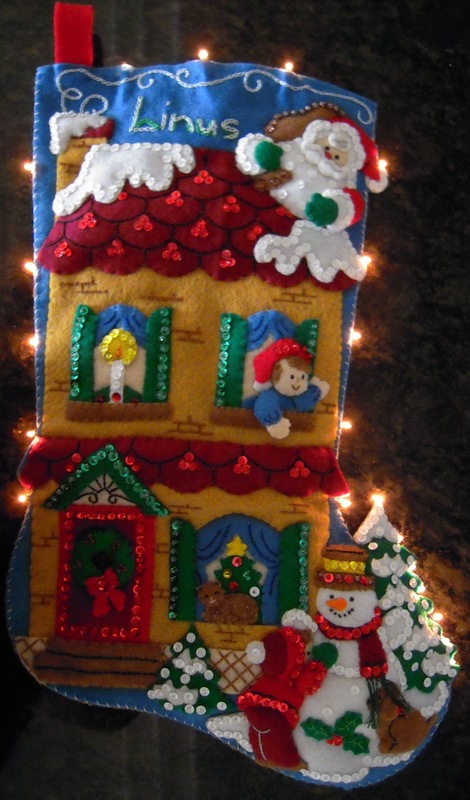 Everyone in my family has a felt stocking that either my mom or I made for them. Our newest family member is my 6-month old nephew, Linus, who will be celebrating his first Christmas this year. I started this stocking in May just before his birth and completed it in September. It’s the first stocking I made with battery operated lights! I didn’t have the heart to cut through the felt to put the lights where they were suggested on the kit, so I just sewed them along the edge and it seemed to work out fine that way as well. Happy Holidays everyone!